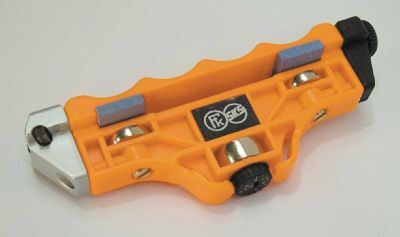 Supplied with 1 Tungsten Carbide square cutter (3062)on one end and the 3134 Carbide adjustable cutter on the other end. 2 Alu-oxide stones (3058) are also included. Precisely tunes side edges in angles from 0 to 5 degrees.